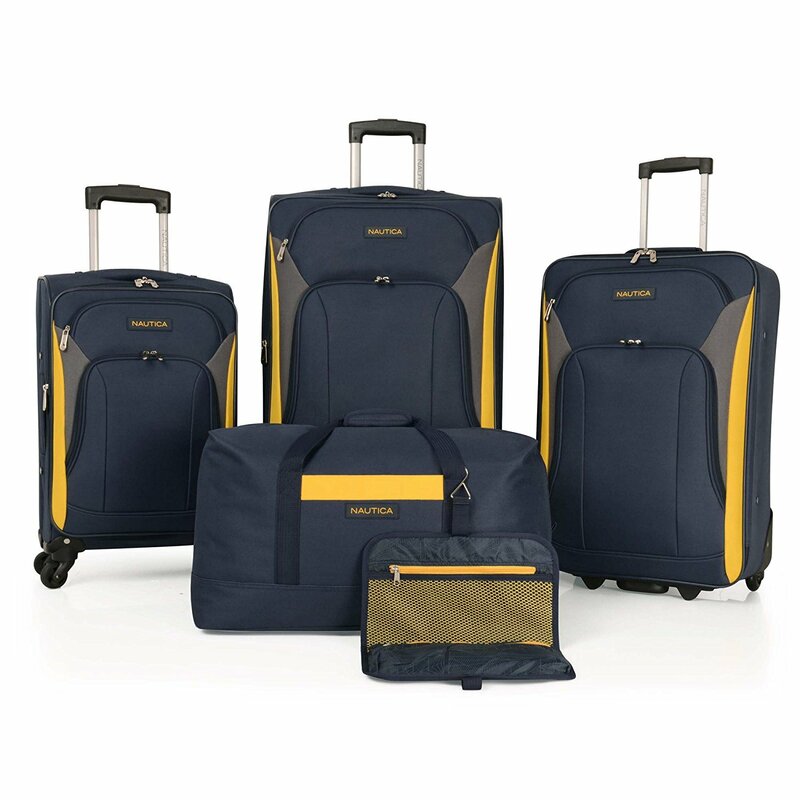 Nautica Open Seas is a stylish and modern luggage set of five pieces offered in black (6154S01), navy/yellow (2661P11), or navy/lime green (6154S02). You have the 20″, 24″ and 28″ suitcases, a toiletry kit and an overnight duffle. The first two color options are almost half price of the navy/lime green which has a different design and extra pockets and compartments. Nautica Open Seas is rated 4.1 out of 5 stars by 42 customers at the time of this review. It is made of sturdy polyester that is easy to maintain and there is full lining inside with adjustable valet straps and mesh pocket. 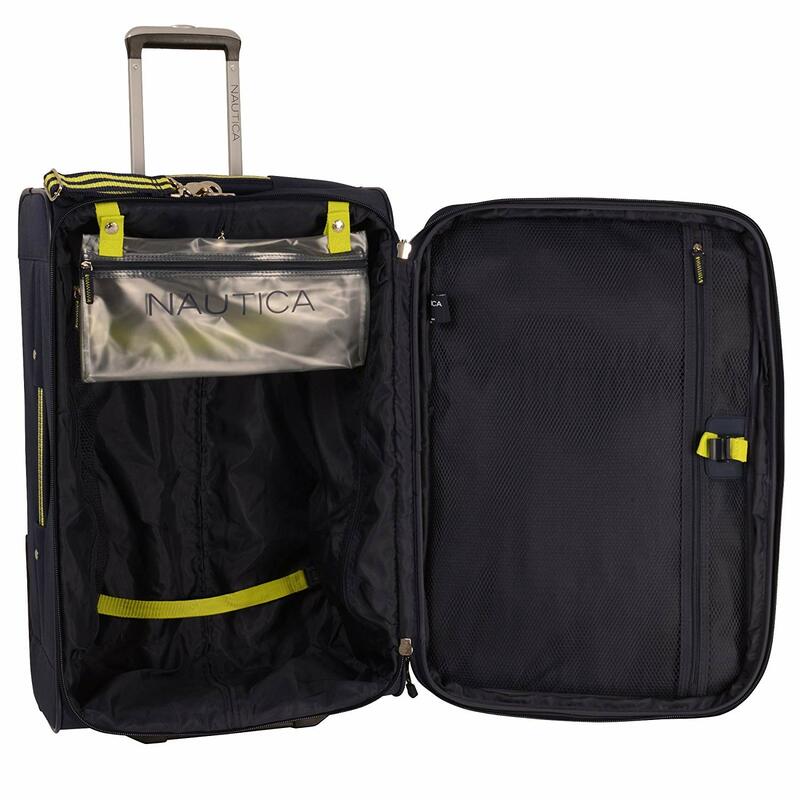 The 24″ medium suitcase has the in-line skate wheels and the 20″ carry-on and the 28″ large suitcase have the spinner wheels that rotate 360 degrees in all directions. You can expand these two suitcases by an extra two inches for being able to fit in more. The overnight duffle bag with the comfy enough webbing handles has a large packing capacity. And the toiletry kit is foldable with two zipped mesh pockets inside along with a convenient wire hook. You’ll find two zippers on each suitcase and you can easily put a lock on them. They are built solid and durable and will hold up well over even your frequent travels. Nautica is a very well-known American brand around the globe for men, women and children with a history of three and a half decades. 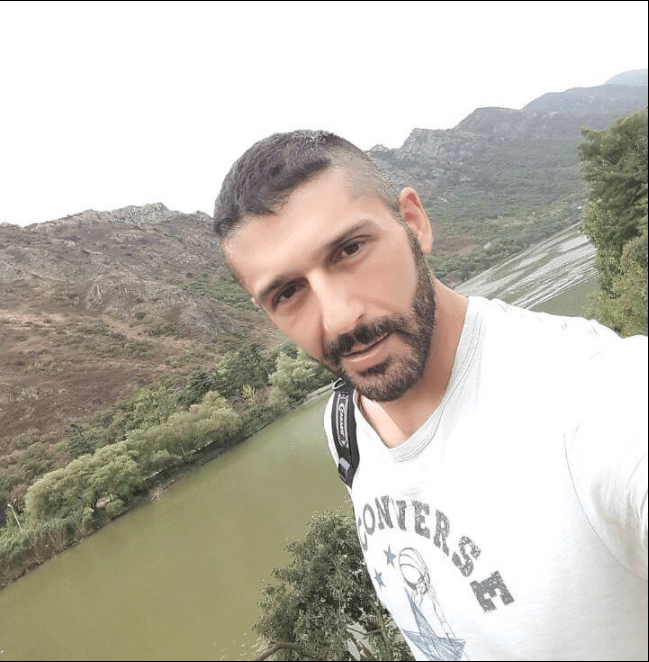 They currently offer comfortable, functional, versatile and stylish products in more than 35 categories in 65 countries with 363 domestic and overseas stores as well as 1400 shop-in-shops around the world. You’ll get the five pieces fitted into each other from the smallest and into the largest. The package weighs 26.9 pounds and measures 11 x 18 x 28 inches and will show the contents. The toiletry kit weighs .5 pounds and measures 12 x 7.5 inches, the 22 duffle bag weighs 1.15 pounds and measures 22 x 13 x 11 inches. The smallest 20″ cabin bag weighs 7 pounds and measures 20 x 13.5 x 7 inches without the wheels or handles. It meets the domestic and global airlines’ cabin bag allowances. The medium size 24″ suitcase is 7.5 pounds with the dimensions of 24 x 16 x 8 inches. And the largest 28″ suitcase weighs 10.25 pounds with the measurements of 28 x 18 x 9 inches. Both the 24″ and 28″ bags need to be checked in before your flight. If you overfill these bags, they may stay in that shape for a while. This is a 5-piece set but more like a 4-piece set when you take the suitcases and the fifth piece is a small toiletry kit (except for the navy/yellow 2661P11) where you can put things like your toothbrush, toothpaste, hand lotion, creams and more. They are all lightweight and sturdy and can be used on trips with varying durations. They are great quality and sturdy bags that look modern and beautiful but can also look a little dirty after several uses if you don’t clean them. But they can be easily wiped with a damp cloth. Overall you’re getting decent value for money.